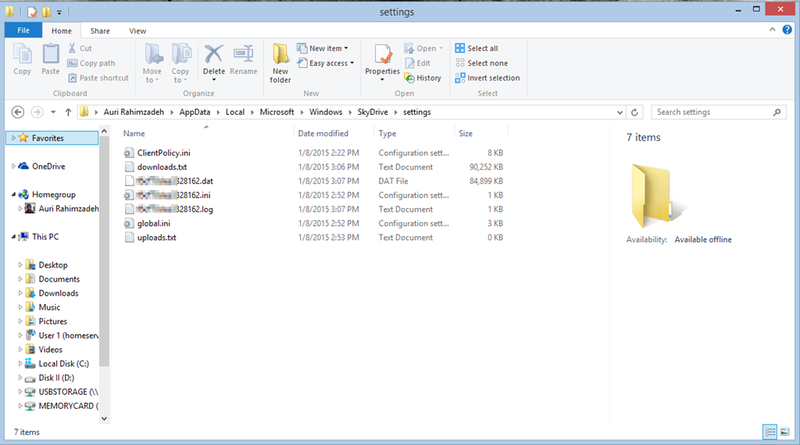 I’ve discussed at length how to fix SkyDrive sync issues. Check out Another possible solution for OneDrive / SkyDrive sync issues and Possible OneDrive / SkyDrive sync fix for Windows 8. I have found that sometimes even resetting SkyDrive doesn’t fix the problem. Microsoft will charge you for a brute force approach, but I figured out one more option if nothing you’ve tried has started syncing back up again. Before you follow these steps, try the other two – this is a last ditch resort! 1. Make sure all other desktop and “modern” applications are NOT running. Only File Explorer should be running. Word, Chrome, whatever – they should all be closed. 2. Press Windows Key + X, select Command Prompt (Admin), and the Windows command prompt should appear. 3. Make sure the OneDrive app isn’t running – right-click it and select Close if you see it in the taskbar. 6. 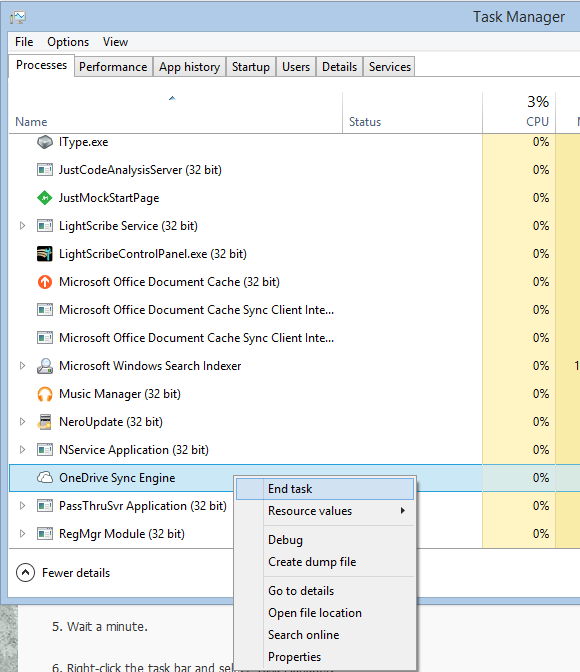 Right-click the task bar and select Task Manager. 7. Keep trying to end the OneDrive Sync Engine process until it disappears, as shown in the figure below. This may take a few tries. 9. Delete all the files except for ClientPolicy.ini and global.ini. 11. Your computer should restart. 12. Log back in and your files should start resyncing. You’ll probably see results within a few hours. This will depend on the total number of files you have on OneDrive. You’ll also see downloads.txt and another funky-looking file start growing in size. If you see that, you know things are working, and OneDrive has started rebuilding everything.